The appearance of Cool Water on this year’s Giller Prize longlist was a surprise — a regional novel that had attracted little attention hardly seemed to rate. So its absence from the shortlist is not really a surprise; the judges have done their job in attracting some attention but it was simply not good enough to go further. I salute the Real Jury on both counts: While it wasn’t going to go further, it is a novel that does deserve attention and I am very glad that I have read it. I will declare a conflict of interest here. During the first summer of my newspaper reporting life, I embarked on a project centred on writing about the challenges facing small-town Alberta, an eight-week “camping” trip in a VW van that produced a six-part series that I am proud of to this day. A good part of that research was spent in the near-desert of south-eastern Alberta — Cool Water is set just across the border in the near-desert country of Saskatchewan, between Swift Current and the Alberta border. And its central focus is the town of Juliet, a struggling settlement (much like so many of those that I visited more than 40 years ago), with its own problems, social hierarchy and cast of characters who could be found in equal measure at more than a dozen places along the Alberta-Saskatchewan border. At the age of twenty-six, Lee knows he is capable, in theory at least, of managing the land he’s inherited. The knowledge of his legacy is one he grew up with, and Lester prepared him well. But as darkness falls each night and bedtime looms, uneasiness settles over him, grows stronger as he climbs the stairs to the second storey where the bedrooms are. Astrid and Lester’s room across the hall from his, their clothing removed from the dresser drawers with the help of neighbour women but their possessions still ordered with care on the closet shelves. The photographs still on the walls. The bed neatly made as though Astrid herself had tucked in the sheets. Their bedroom reminds him more than any other part of the house that he’s alone. Or how about Willard Shoenfield, operator of the Juliet movie drive-in. He has lived with his brother all his life, then with his brother’s wife as well, and now he and Marian are what is left. Willard’s most famous exploit was buying Antoinette the camel so he could sell camel rides to tourists passing through on the Number One Highway. He came up with the idea after he heard the provincial minister of tourism talk about the uniqueness of the Saskatchewan landscape and about how Americans were generally better than Canadians at recognizing potential gold mines in the tourist industry. Willard looked around. He saw sand. He bought a camel from a wild animal park in Alberta and painted a huge sign in the shape of a cactus, saying, SNAKE HILLS CAMEL RIDES: SEE THE DESERT THE WAY GOD MEANT YOU TO. 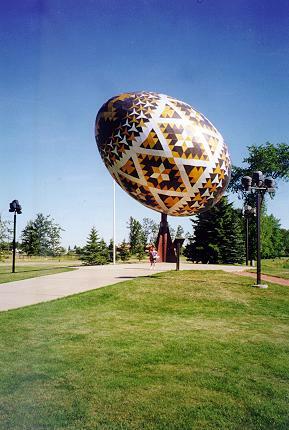 Okay, that sounds weird but remember in real life not so far up the road we have a landing pad for extra-terrastrial visitors (St. Paul), the world’s largest Ukrainian easter egg (Vegreville) and countless other (equally non-successful) tourist attractions. Economic life in Juliet is tough: There isn’t just the climate (drought and drifting sand), there are the day-to-day disasters (an escaped horse, a wandering herd of cattle, desecration of the “big rock” by teenagers with paint cans) and the need to find something different (the Oasis cafe owner is trying out a version of key lime pie, with some success). And contrasted to all this is history — not centuries, like in the United Kingdom, but rather decades. In Juliet’s case, a horse race — a 100-mile challenge between the young buck, Ivan Dodge, and the old veteran, Henry Merchant. That was back before Juliet was founded (it was cattle country then) but is a foundation of the area history to this day. A version of that ride is one of the threads of the book. I have only provided background on two of the central characters. 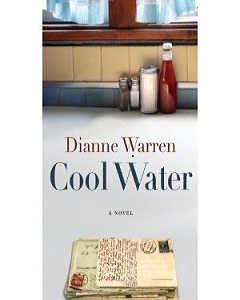 Warren tells her story through alternating updates on a half-dozen — the town bank manager (with pregnant unmarried daughter), a near bankrupt farmer (with six kids), the local hairdresser and a passing-through divorcee who loses her horse are among the others. The result is an entirely convincing picture of what is involved in a rural Western North American community, even at this point in the 21st century. Nothing dramatic (except of course for the individuals involved) happens in this book — for the individuals involved, everything that happens is dramatic. I suspect that you might have to know this part of the world for this novel to succeed (Americans who know Montana, Idaho, Utah and Colorado, among other western states, will find familiar themes here). I do know and love this part of the world and the novel does succeed — it will not be to everyone’s taste, but it is a valuable addition to my shelves. And if your curisoity is sparked at all, check out Hungry Like the Woolf’s review of Who Has Seen The Wind for a similar novel written a half-century ago — not much has changed in the rural West, you will discover. And I am delighted that talented authors are still writing about it.